Born on November 15, 1908, he served on active duty with the United States Army Air Corps from November 12, 1940 to October 8, 1946. Thereafter he was a memberof the United States Air Force Reserve until his retirement on November 14, 1968 as a Lieutenant Colonel. He served at Hickam Field, Hawaii, with the 17th Air Base Group (Reinforced). He was a survivor of the Japanese attack on Pearl Harbor on December 7, 1941, and went on to serve throughout World War II,being assigned to foreign duty from November 15, 1940 to May 12, 1942. During his career, he was the recipient of the American Campaign Medal, the Asiatic-Pacific Campaign Medal with one Battle Star, the World War II Victory Medal, the American Defense Service Medal with one star and the Bronze Letter. 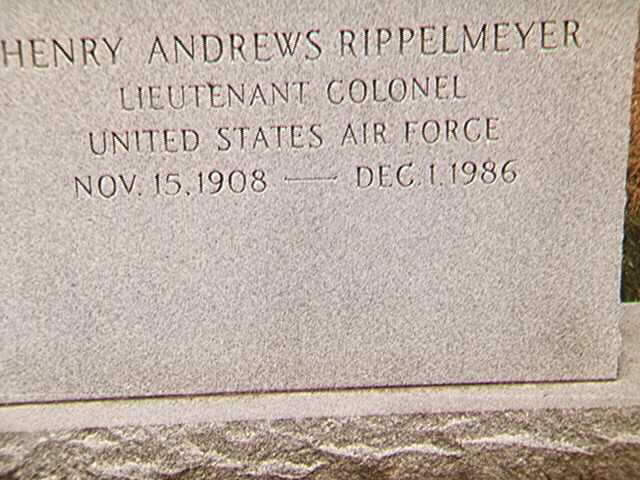 He died on December 1, 1986 and was buried with military honors in Arlington National Cemetery.